Kaleb DeWees, of Westmoreland, joined the staff of Paquin Land Surveying, PLLC in October of 2016 as a part-time survey field tech. In his first year on the job, he has achieved proficiency in the field and has gained valuable deed research skills. His favorite aspects of the job are getting outdoors, connecting with the local community, and a great work environment. A 2015 graduate of Keene High School, Kaleb is pursuing a career in environmental sciences. Congratulations Kaleb on your one-year work anniversary! Paquin Land Surveying's home office is now located at 136 Crestview Drive in Jaffrey, New Hampshire. From this new location, Jed will continue to serve clients in Jaffrey, Rindge, and the surrounding communities. 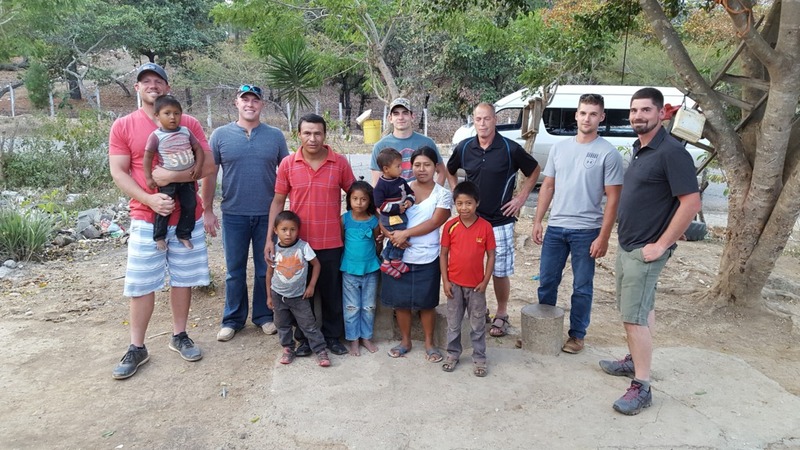 Jed returned to beautiful Guatemala in December 2016 to volunteer land surveying services for Phase 2 of the Little Lambs International orphanage project in the mountainous Jalapa Department. 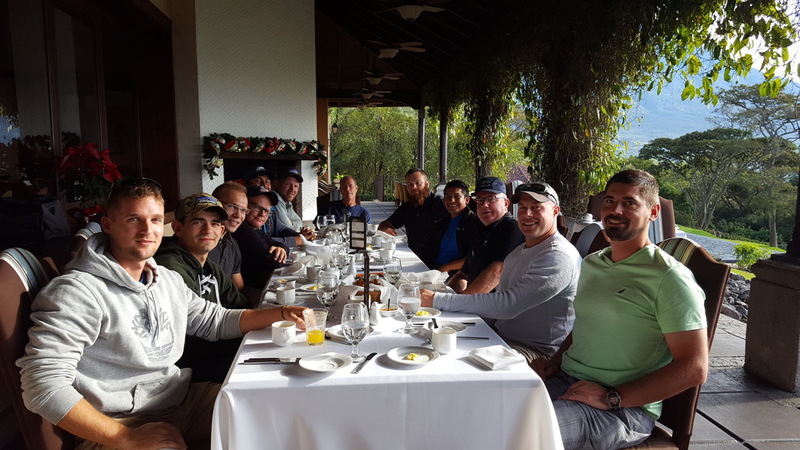 Jed and his survey field tech, Kaleb, traveled as part of a team of six men with diverse contracting and construction skills, all from Cheshire County, New Hampshire. On this trip, Jed and Kaleb completed an existing conditions survey of approximately 15 acres slated to be developed with 20 houses, each of which will house up to 10 children and a missionary couple who will serve the children as “house parents.” In preparation for future development, Jed and Kaleb also laid out and set permanent ground control. They also designed and laid out a site for the orphanage director’s house including a septic system which posed some unusual challenges. The tank was constructed out of concrete block and the men had to drill the perforations in the pipes used to construct the leach field. 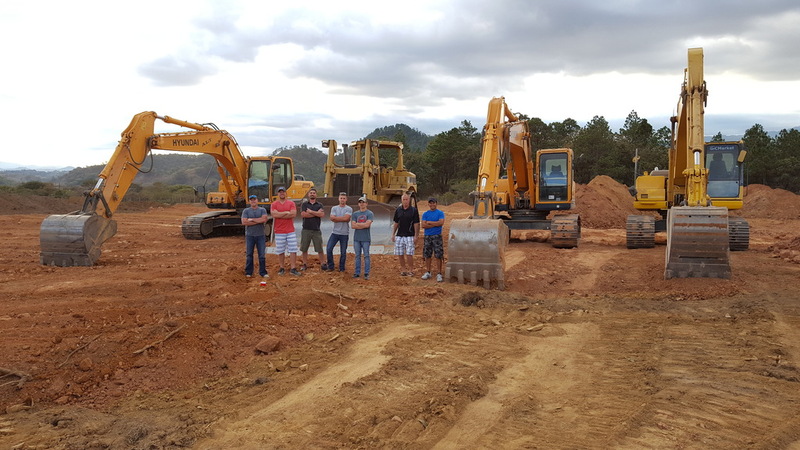 Because a rented excavator hammer brought in from Guatemala City (a three hour drive from the site) failed even after multiple repair attempts, Jed had to modify the building and septic tank grades. 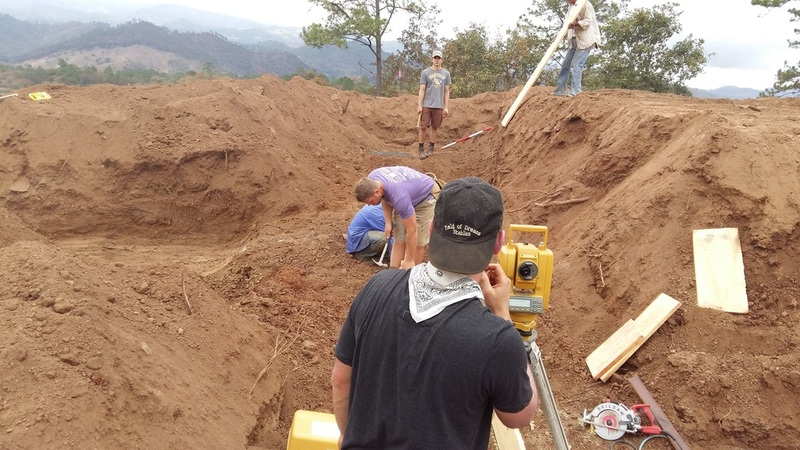 Jed and Kaleb assisted in forming the footing for the director’s house. 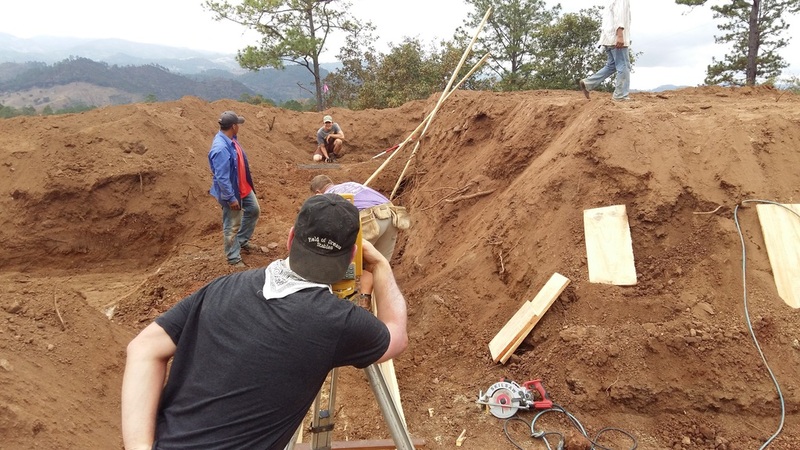 The New Hampshire team was assisted by Guatemalan laborers who poured an entire footing in one day, shoveling sand and crushed stone into the mixer by hand, and moving concrete with 5 gallon buckets in 85- to 90-degree heat. The biggest menaces on the site were not the abundant tarantulas, but rather hordes of ticks and a couple of overly friendly unbroken horses who took a keen interest in the total station. These horses, once trained, will serve as therapy animals for the orphans. Jed’s trip coincided with a major milestone for Little Lambs International – state approval to operate an orphanage. The first child took up residence on January 26, a non-verbal 8-year-old boy who has suffered from fetal alcohol syndrome and neglect. Click here to learn more about Little Lambs International or to support this project financially. "I, Ronald Reagan, President of the United States of America, do hereby proclaim the week beginning March 11, 1984, as National Surveyors Week. I urge the people of the United States to observe this week with appropriate ceremonies and activities paying tribte to professional surveyors and their contributions to society. I invite all Americans to look back at the historic contributions of surveying and look ahead to the new technologies which are constantly modernizing this honored and learned profession." Matt Mazza has joined Paquin Land Surveying, PLLC part-time as a survey field tech. Matt, his wife Becka, and their three young daughters reside in Rindge. 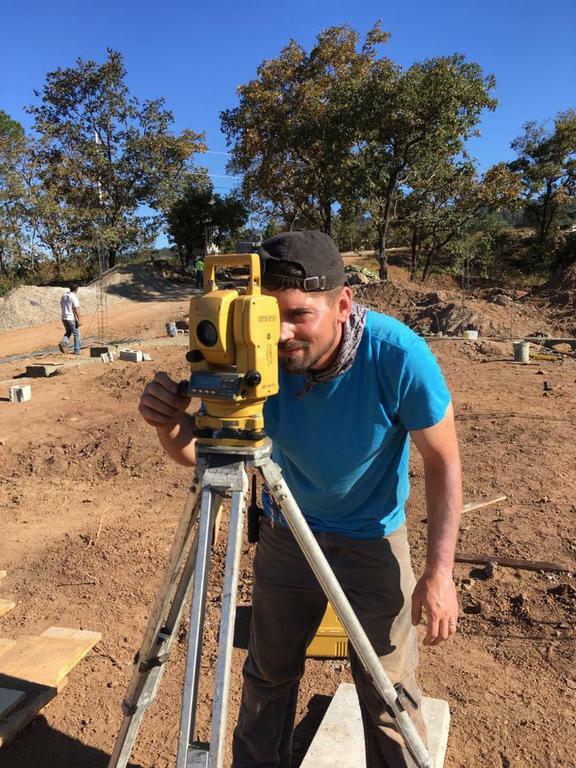 He enjoys the wide variety of land surveying applications and the challenge of adapting field practices to the ever changing New England seasons. One of his favorite aspects of the job is engaging with landowners. He is an award-winning equestrian and owner/trainer at Field of Dreams Stables in New Ipswich. Ted Chartrand, of Rindge, completed a School to Work internship for Paquin Land Surveying, PLLC in the summer and fall of 2014. 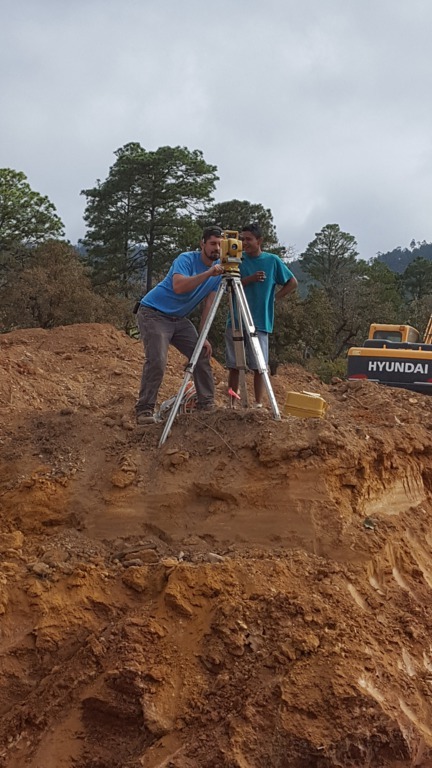 The internship approved by the New Hampshire Department of Labor and Conant High School, is allowing Ted to gain knowledge and experience in basic land surveying applications. Paquin Land Surveying is mentioned in the Monadnock Ledger Transcript. Paquin Land Surveying is featured in the Rindge Community Newsletter. Jed Paquin established Paquin Land Surveying PLLC in his hometown of Rindge. 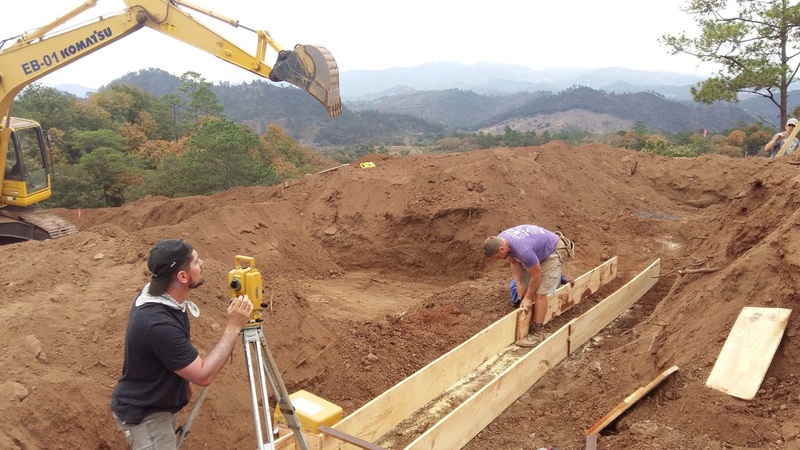 Jed provided building layout services for Little Lambs International, a local, Christian nonprofit building an orphanage in the village of Rio Blanco in Jalapa, Guatemala. 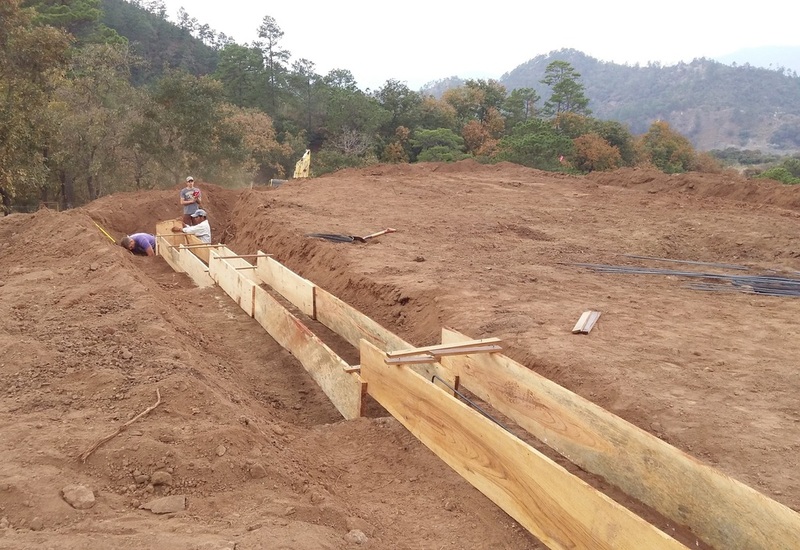 Jed volunteered for a week and laid out the future mission house, the first building to be constructed on the property of the future orphanage. Read more about Jed's experience from the Keene Sentinel.